Fantastic roast beef, baked with all the fixings. Cut all the dinner rolls in half. Combine grated onion, Worcestershire, mustard, horseradish and mayonnaise together. Spread the dressing on both halves of dinner rolls. Layer on the cheese and roast beef on bottom halves. Place top halves on to form sandwich. Place each sandwich in a aluminum foil square. Wrap up each sandwich until sealed. 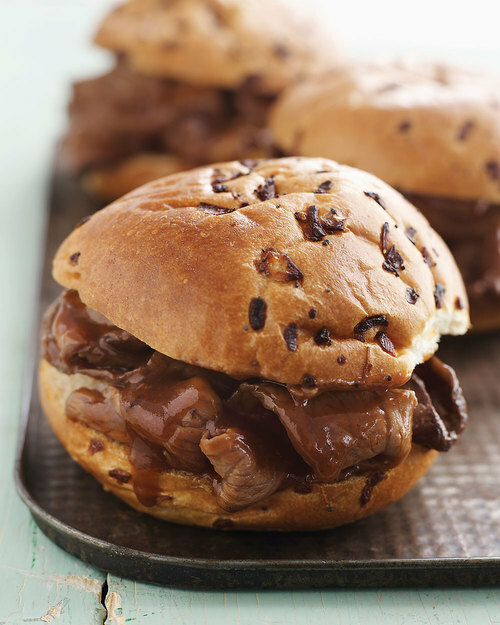 Arrange foiled sandwich on a baking sheet and bake for 15-20 minutes.